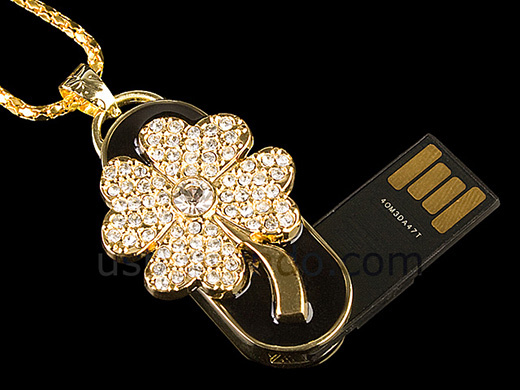 If you forget to wear green on St. Patrick’s Day, hopefully your have one of these Lucky Clover Jewel Necklace USB Flash Drives to slip over your neck to thwart the pinches. 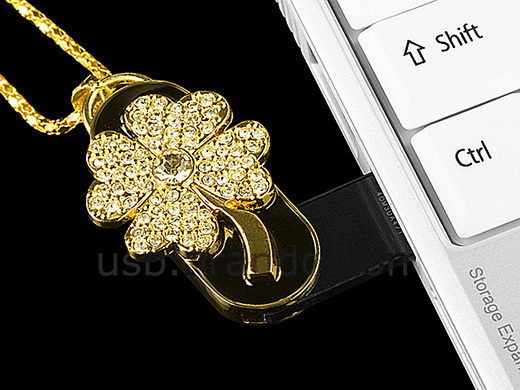 This shimmery four leaf clover necklace is actually a USB flash drive in disguise. 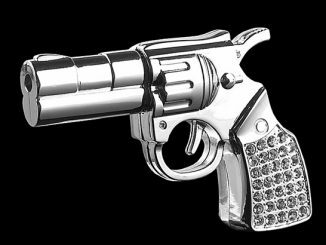 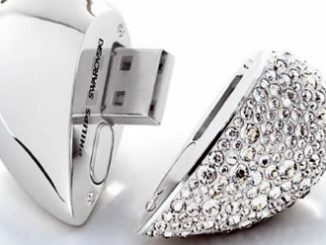 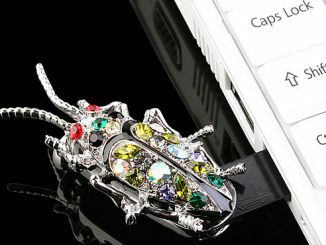 When wearing this sparkly necklace, most people will have no idea that it actually is a large capacity flash drive. 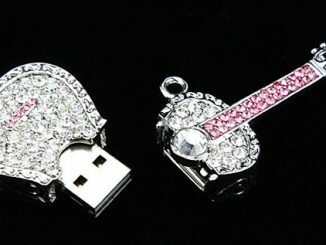 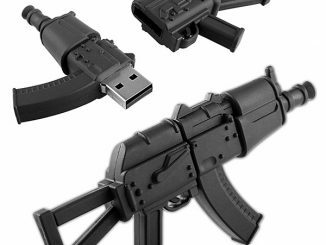 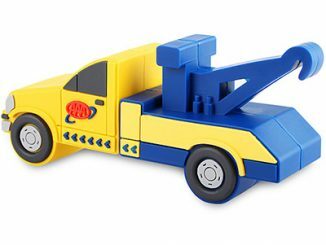 You can use it to hold you personal files while your at work, or to keep a copy of your most important data with you at all times. 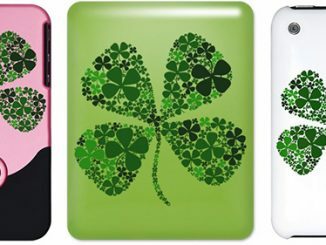 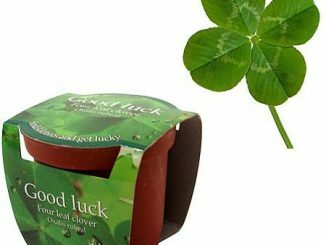 The lucky 4 leaf clover flash drive necklace is available in four data capacities: 2GB, 4GB, and 8GB. 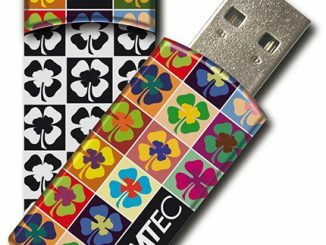 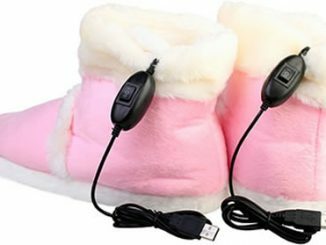 All versions feature a USB 2.0 interface and support plug and play. 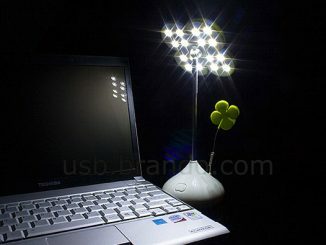 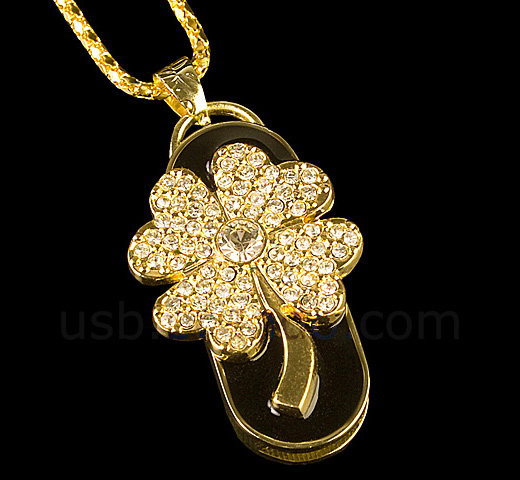 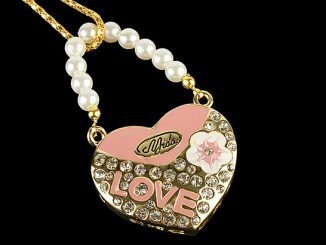 Available at the USB Brando website, the USB Jewel Lucky Flower Necklace Flash Drive starting at $22.